Welcome to Puerto Vallarta Mexican Restaurant, where we exist to provide patrons with a taste of Mexico’s rich culinary history. Welcome to Puerto Vallarta Mexican Restaurant, where we exist to provide patrons with a taste of Mexico’s rich culinary history. 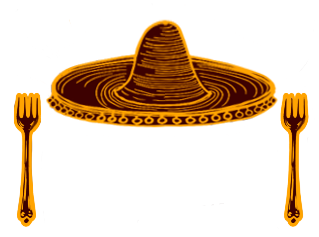 If you are unfamiliar with authentic Mexican dishes, please read the descriptions on our menu; you will discover that not all Mexican food is spicy. Despite many of our recipes containing chilies and spices, people who don’t like spicy meals often love our Old-World fare because it’s healthy, fresh, and has a delicious, mild flavor. We provide hot salsa at the table for customers who love a little more heat. Luis, owner of Puerto Vallarta, was born in Jalisco, Mexico and immigrated with his family to California as a young boy. He later moved to Washington where he began working as a bus boy in a Mexican restaurant owned by a friend’s family. With a commitment to hard work, talent in the kitchen, and a desire to share authentic Mexican cooking with the world, Luis advanced to the position of chef. As his passion for his vocation grew, he decided it was time to bring the true tastes of his home country to the Midwest. Attracted to Sioux Falls by its friendly people, solid education system, and laid back traﬃc, Luis founded Puerto Vallarta Mexican Restaurant over a decade ago. We are still family owned and operated, working from two locations in the city to best serve our customers.